Future of medicine is biotechnology. Based on achievements of fundamental and applied research, they combine modern genomic, regenerative, cognitive, computer, robotic and other technologies embodied in new medicines and medical devices that give doctors opportunities that yesterday we could only dream of. 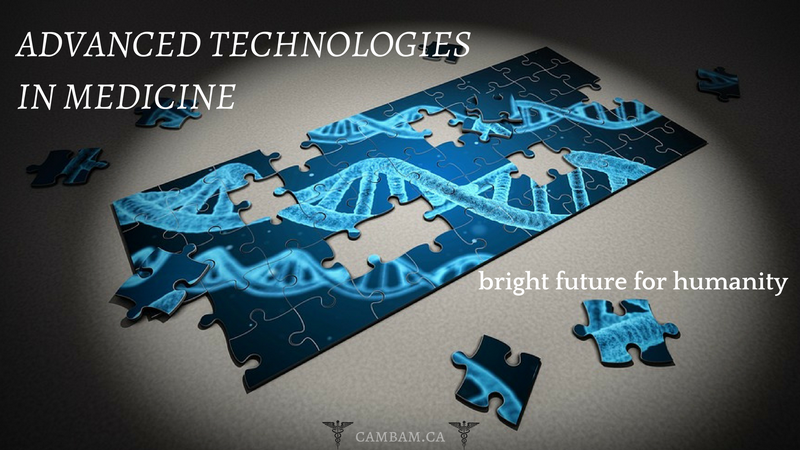 According to Canadian scientists forecasts, the introduction of new biomedical technologies will lead to a reduction in mortality from cardiovascular diseases by more than 20%, malignant neoplasms – 30% and HIV infections – 40%. As a result, it is expected that new high-tech medicine will lead to increase in average life expectancy by 25 – 30 (!) years. Modern breakthrough biotechnologies not just allow to treat diseases that were previously impossible to treat, they change the very philosophy of medicine. Only with the introduction of modern biomedical technologies, it is possible to make a step forward from the standardized treatment of individual diseases to principles of personalized medicine. In other words, even ancient healers understood that it is necessary to treat a person, not a disease. But this commandment becomes true medical practice only now, thanks to achievements of new technologies of biomedicine. Many innovative projects can be considered without exaggeration technologies of the future. Tansplantation of organs, stem cells, does not even seem fantastic, even cloning does not cause awe. Mankind has got rid of the fear of many incurable diseases. Every year we learn about amazing discoveries of scientists who are developing latest diagnostic and treatment technologies, and progress does not stop for a minute. Thanks to innovations in medicine, Canadian healthcare has reached a higher level, duration and quality of human life are increasing. Nuclear medicine – diagnostics and therapy based on the use of isotopes – is becoming increasingly widespread. Hundreds of radiodiagnostic methods have been developed, which makes it possible to study functions of liver, kidney and thyroid gland, metabolism of bile and blood supply to the body. Moreover, the nuclear technique allows us to trace dynamics of disease, more accurately diagnose, and, therefore, to cure patient more quickly. Perspective and new technologies for robotic surgery. State-of-the-art technology becomes a reliable assistant to doctor during operation, reducing a degree of risk and number of errors. Nanotechnology – that’s real technology of the future. Nanorobots, slowing down aging, reprogramming human genome, eliminating genetic diseases – in the next decade, they will become a reality. Not only in future but also today, new technologies in medicine help to restore health to thousands of people. A milestone in orthopedics is the invention of artificial heavy-duty joints with zero level of wear and protein compounds creating natural bone tissue on the surface of the implant. Is not it a miracle? The artificial device becomes a part of the organism, growing into the right place. It is not possible to list all the latest technologies and developments. These are innovative drugs that help the body cope with increased radiation, and modern analyzers that can make DNA test on a single molecule. Of particular interest are new technologies in oncology, homeopathic method – DST-therapy (dissymmetric (anisotropic) tincomial therapy), which is ahead of the effectiveness of chemotherapy, with virtually no side effects – is undergoing clinical trials. Search for effective dosage forms is a paramount task of pharmacology. But, unfortunately, almost every drug has a host of side effects. And so it happened, new in medicine – latest developments proved the possibility of transferring properties of substances and biological objects at a distance. Information matrices of medicines compiled according to this method are indistinguishable from analogs by influence, but they are absolutely harmless. © 2019 CAMBAM. Centre For Applied Mathematics In Bioscience And Medicine. All rights reserved.